You'll feel completely alive as the week starts, and able to direct the very best of your originality and vitality! 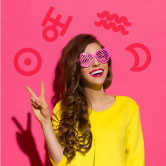 On Tuesday, the Sun trine Uranus will help support you as you express everything about you that makes you unique. Shine on! Then on Wednesday, there's finally a break in the clouds when it comes to romantic potential. 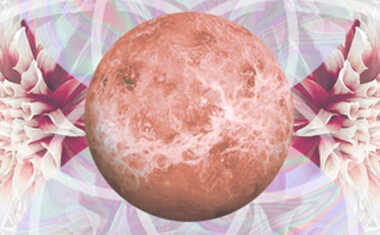 Venus will trine Pluto, allowing love to feel empowering rather than disenchanting. You and your partner will have the capacity to deepen your bond, and feelings of intense love are likely to be shared and cherished. This will also be a positive link for finances. Venus and Pluto forming a positive connection also has the potential to empower your bank account as much as your heart. A savvy investment might pay off. Or, you might make a sharp business decision. Make the most of your money decisions this week with guidance from a Financial Bottom Line Tarot reading. 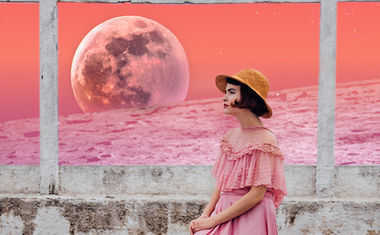 On Thursday, a Full Moon in Aquarius will highlight the bonds of friendship and your need to connect to something larger than yourself and your ego identity. A humanitarian effort that is near to your heart will be incredibly fulfilling now.